We love to hear from our customers once they’ve received and used their goods from us, whether it be on the phone, via email, Trustpilot or one of our social platforms. Even better is seeing where one of our products is situated and being used by one of our customers, whether it be showing off their brand new Gin and Tonic glasses or their collection of wine in one of our racks! We’ve had products featured on TV and in the press in the past, but now we want to see and hear from you, our customers! Our bespoke wine racks are made in the UK and delivered throughout, so we’d love to see where you’ve got yours and how full your rack is! Win a £10 Wineware Voucher by taking a photo of your Wine Rack! We’re offering the chance to Win a £10 Wineware voucher for every photo you send to us and which we decide to use on our website, it really is that easy! So if your wine rack is in the kitchen or the living room, fully stocked or not, send us photos as we’d love to see them! 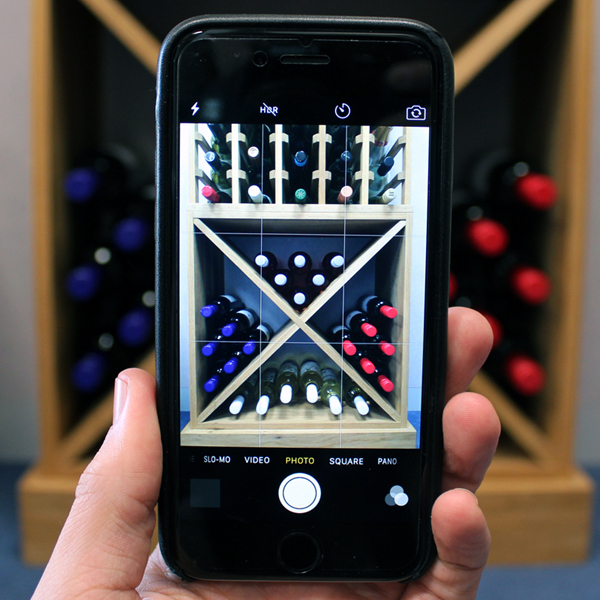 Take a photo of a wine rack purchased from Wineware. Send the image to us by either Email, Facebook or Twitter. If we use the image on our website, you’ll receive a £10 Wineware Voucher! Enter today for your chance to win! We will contact you if we publish your image(s) with details regarding the £10 Wineware Voucher. Please note: The Wine Rack featured must have been purchased from Wineware, we will check your details to confirm.